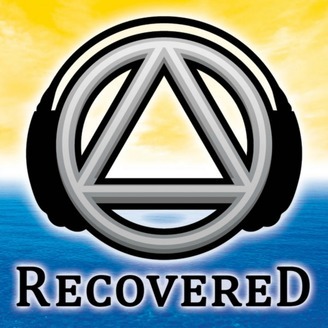 This is the podcast where life is seen through a 12 step recovery lens. 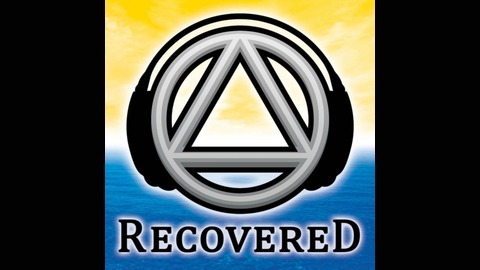 This is a podcast about men and women who have recovered from a seemingly hopeless state of mind and body. We have discovered a solution, we have a way out. We have leaned how to live sober and happy. Join us on this journey called life. Email - feedback@recoveredcast.com. Sustaining Partners We have three ways in which you can participate in this 12-step mission We invite you to be a partner is this work. Even good relationships take work. After all, our significant other, our close friends, and even our parents aren’t perfect . We have to learn how to accommodate and adapt to their their faults, their moods, just as they must learn how to do the same with us. And it’s worth it. Some relationships, however, are more difficult and require proportionately more work. And then there are toxic relationships. These relationships have mutated themselves into something that has the potential, to be extremely harmful to our well being. The paradox is that in order to have a reasonable chance to turn a toxic relationship into a healthy relationship, we have to be prepared to leave it. We also have to admit that our disease may have been the cause of toxic relationships. How do we deal with the fact that we are the toxic part of the relationship? Tonight, we talk about toxic relationships? We are going to start with you first Anna, What comes first to mind, where do you want to start? What is a healthy relationship to you? Thought: A healthy relationship involves mutual caring, respect, and compassion, an interest in our partner’s welfare and growth, an ability to share control and decision-making, in short, a shared desire for each other’s happiness. What is a toxic relationship to you? Thought: By definition, a toxic relationship is a relationship characterized by behaviors on the part of the toxic partner that are emotionally and, not infrequently, physically damaging to their partner. Thought: A toxic individual behaves the way he or she does essentially for one main reason: he or she must be in complete control and must have all the power in his or her relationship. Have you found yourself in these toxic relationships? Why? Thought: Think about family of origin stuff too, some toxic relationships are not chosen, we are born into them. Thought: poor self-esteem rooted in underlying insecurity. What other character defects? Have you been toxic to others before? How? Why? ______________________________________________________ We asked our listeners about this topic. What are the warning signs for you that a person might not be healthy for you, but you are attracted anyway? The following is a list of toxic characteristics. Which types have you been in relationship? What character defect on your part was in affect? Belittler - His or her goal is to keep your self esteem as low as possible so that you don’t challenge their absolute control of the relationship. Bad Temper - “Controlling by intimidation” is a classic behavior of a toxic partner. Guilt-Inducer - A guilt inducer not only controls by inducing guilt but also by temporarily “removing” guilt if you end up doing what he or she wants you to do. The Overreactor/Deflector - You find yourself comforting them instead of getting comfort yourself. The Over-Dependent Partner - They want you to make virtually every decision for them. Non-Dependable - This toxic individual will only rarely keep his or her commitments. The User - seem to be very nice, courteous, and pleasant individuals. And they are, as long as they’re getting everything they want from you. Possessive - They do not see themselves in a relationship with you; they see themselves as possessing you. How can the program help? How can forgiveness help? What step have helped? Has a sponsor helped? Has the fellowship helped? Has prayer helped?